In our last post, Lionel Richie told us to let the music play on. So let’s do just that. Toward the end of my first year at TJ, my class scheduled a talent show to be part of the “Lock-In,” an overnight event for Freshmen held at the school. More or less out of the blue, I decided I should do something for the show. 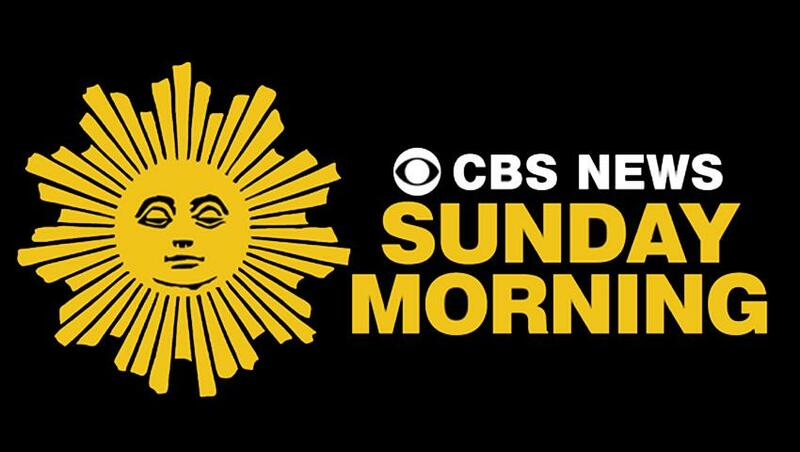 I remembered a snippet I had seen on CBS Sunday Morning (you know, that informal news show with the creepy emotionless sun) about a musical saw player. The way she charmed unearthly music out of a seemingly unremarkable hand tool was instantly captivating. I happened to mention how cool it would be to pull off something like that for the talent show, and by a bizarre twist of fate, my parents revealed that we already had a musical saw. It had once belonged to my great-grandfather, Edgar Terrill, who left it to my dad, and it had been sitting unopened in a box in the basement for 15 years. Now I just needed to learn to play the thing. In a week. Luckily, because we live in a miraculous time in which the internet exists, it is in fact possible to learn the musical saw in under a week, thanks to the good folks at www.MusicalSaw.com. And so, on the night in question, I took the stage before an audience of my sleep-deprived peers and plunked out a passable rendition of “Twinkle, Twinkle, Little Star” on my Terrill-heirloom saw. That performance, and the swell of applause which followed, was one of the greatest, most formative experiences of my life. Unusual instruments have been a hobby of mine ever since. As far as I’m concerned, It’s far better to play an interesting instrument in a mediocre fashion than a mundane instrument expertly. After all, there are a lot of decent violinists out there…but not many thereminists, period. Play a weird instrument, and there’s a niche ready-made for you to fill. The same philosophy motivated my switch from regular to clarinet to bass clarinet in the school band…and then to contrabass. If you’re the only one willing to lug around a seven-foot clarinet, you’ll always make the all-district cut. Let’s meet a few more folks who share this “oddmusic” mindset. A word of warning: I’ll be linking to several of my own performances throughout the years. 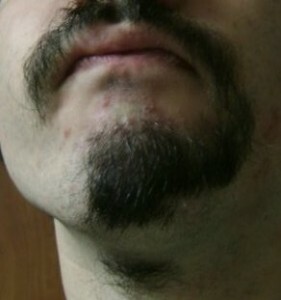 Be advised that I have made some…questionable…facial hair choices in the past. Bet you didn’t know you carry a musical instrument with you everywhere you go, huh? Well, you actually carry a few (more on that in a bit). But I’m talking about the instrument at the end of your arms. By following these simple steps, you too can realize the full potential of your own personal, ever-present flute. 1. Cup your hands together as though you were about to drink from a stream. 2. Fold the fingers of your right hand up, over the edge of your left hand (if you’re left-dominant, I assume it would work to swap the two). Be sure to keep as much space as possible between your palms. The area between your hands should now resemble a dark cave, with a narrow opening at your thumbs. 3. Press the sides of your thumbs together, and fold them over the “mouth” of your cave. Now, your hands should resemble a ball. Remember to keep the hollow space inside nice and round. The only opening should be an oval-shaped slit between the middle joints of your thumbs. Your hand-whistle / human ocarina is complete! 4. To produce a tone, place your upper lip at the base of your thumbnails (aim for the lunulae, those pale half-moon patches). Remember not to cover the entire opening – leave a small hole at the bottom to allow air (and sound) to exit. Now, blow into the opening between your thumb-joints. Once you’ve got it right, you should hear a mellow, earthy whistle, slightly lower than your standard mouth-whistle. Don’t get discouraged if it doesn’t work right away. I was walking around hissing and puffing into my hands for two weeks before I finally got a tone. 5. Once you have a reliable tone, changing pitch is easy! Simply squeeze your palms closer together to raise the pitch (for a higher note) or increase the space between them to lower it. Not to brag TOO much, but the “hand-whistle” is perhaps the only instrument at which I would consider myself an “expert.” I’m the best darn hand-whistler I know, and I’ve only seen a handful of more adept performers online. The best I’ve heard, “hands-down,” has got to be HandWhistlerBen, the prolific YouTube-poster shown above. A few of the EarnThis writers have had their posts retweeted and shared by the celebrities they wrote about. Well, my biggest “starstruck” moment came when HandWhistlerBen subscribed to my YouTube channel. Has any one instrument experienced such a great popularity boost from a single piece of media as the ocarina in the wake of The Legend of Zelda: The Ocarina of Time? Probably not. But regardless of when the gaming community became aware of it, the ocarina existed for millennia beforehand. Similar instruments are among humanity’s earliest musical artifacts, with some dating back as much as 12,000 years. I suspect they came about when a one-handed potter desperately wanted to hand-whistle, but couldn’t…but that origin story might be spurious. Unlike other varieties of flute, air resonates throughout the entire chamber of an ocarina regardless of what note is being played. As with the hand-whistle, pitch is determined by the ocarina’s size and the size of its opening(s). This system gives ocarinas a relatively narrow range of possible pitches, and in response instrument-makers have designed double- and triple-chambered ocarinas to facilitate a greater number of higher and lower notes, as well as chords. The video clip above features a skillful rendition of Brahms’ Hungarian Dance No. 5 on the triple ocarina. A similar, but considerably rarer, instrument known as the huaca just might be the single most beautiful instrument I’ve ever heard. The huaca (its name adapted from the Quechua word for “holy relic”) uses multiple chambers to create a sonorous, almost hypnotizing effect with multiple drones and layers of resonance. It’s a shame there aren’t more of these around…just watch the following clip, in which a single huaca fills a concert hall with the sounds of a whole South American ensemble. Now for an instrument I only learned existed when Tom Hanks’ hobo character played one in the 2004 Polar Express film. Even then, figuring out precisely what it was proved difficult, due to the fact that the barrel organ (the music-box-like contraption wielded by organ grinders) is often called “hurdy-gurdy” as well. But the hurdy-gurdy proper is a variety of stringed instrument played by turning a crank rather than using a bow. The crank revolves a rosined wheel beneath the strings, and the player presses keys which contact the strings at various points to change the pitch. Some strings act as drones, providing constant, harmonious notes; This feature makes the hurdy-gurdy essentially equivalent to a “stringed bagpipe.” Most hurdy-gurdys (hurdy-gurdies?) also include a “dog,” a modified bridge which buzzes when the crank is turned a certain way, offering additional timbral possibilities. The organistrum, a Renaissance-era precursor to the hurdy-gurdy, even captured the imagination of true “Renaissance man” Leonardo da Vinci. In one of his many ingenious mechanical sketches, Da Vinci designed an instrument he called the Viola Organista. The contraption is a fusion of hurdy-gurdy and harpsichord. Just like a regular harpsichord, the Organista consists of a long row of tuned strings which sound when a player strikes the keys. The difference is that these strings are divided into sets played by several hurdy-gurdy wheels in sequence. Though Leonardo never actually constructed the unusual device, a modern instrument designer recently did…you can see and hear the striking results below. What do you get when you turn a steel-drum inside out? The Hang (pronounced “hong”) is an unearthly, breathtaking, inordinately expensive new kind of percussion instrument. And I mean really new: Swiss inventors Felix Rohner and Sabina Schärer only introduced it in 2000, and have been tweaking their design ever since. I first discovered the Hang in a short clip on Google Video (yep, this was way back in the primordial, pre-YouTube past) entitled “Barbecuespieler,” German for “barbecue-player.” I assumed (because, you know, the title stated) that the street performer in the video was just plunking out magical music on the lid of an old barbecue. Thinking I’d found my next talent show act, I immediately ran out into the yard and grabbed my family’s barbecue lid. After several trials, I found it to be decidedly non-musical. It wasn’t until a few years later that Hang clips became more numerous and I learned what the mysterious singing saucer really was. If you’re anything like me, now that you know what a Hang is you probably really want one. Well, too bad. Unfortunately, Rohner and Schärer are the only two people in the world making them…in very small quantities, as each is made by hand. So unless you’re willing to go to Switzerland with a lot of money in hand, you’ll probably never acquire one. 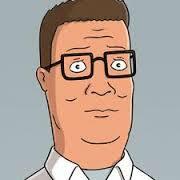 I sell propane, and propane accessories. And propane musical instruments. Most of the instruments we are familiar with fall into two broad categories, defined by the medium which produces their sound. There are instruments which produce tones through the vibration of a solid medium (the strings of a string instrument, including keyboards such as the piano and harpsichord, and other parts of the assorted percussion instruments). 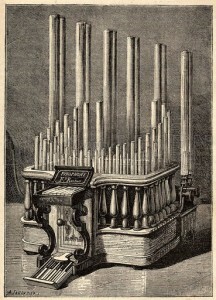 Such “solid” instruments are broadly referred to as “gaiaphones,” and are typically broken down into idiophones (in which the whole instrument vibrates – the Hang, for instance, or the bars of a xylophone), chordophones (featuring vibrating strings) and membranophones (with a tight vibrating membrane, like most drums). Then there are the aerophones, in which the player causes a column of air to vibrate. These include the brass and woodwind families, and are further classified by whether or not they rely on reeds, and how many. Free-reed instruments like the accordion and the harmonium are also aerophones. But while orchestras limit themselves to the two media, and stick with vibrating solids and gas, music can be made by vibrating any state of matter. Now we’re getting into the really weird territory of liquid- and plasma-derived instruments. 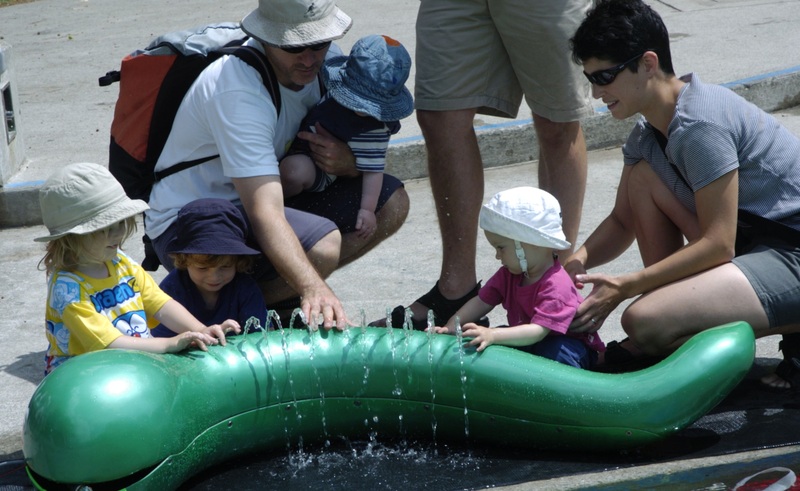 The hydraulophone, a relatively recent invention of organologist (instrument-designer) Steve Mann, is kinda like a combination flute and pipe organ…played with water. Water pumps through the system, and pitch is modified by the player covering and uncovering holes in a flute-like interface. But rather than a standard finger-hole, each opening acts like the mouthpiece of a flute: subtle nuances in finger position alter the musician’s “embouchure” and dynamically affect the hydraulophone’s sound. Hydraulophones can produce their own sound acoustically, but are often used as the input to an electrically modified synthesizer system…which to me feels like cheating. If it’s a circuit or computer actually making the sound, what does it matter what state of matter your fingers are messing with? We won’t speak of those phonies anymore here. But whatever type of hydraulophone you’re interested in…they’re expensive too. Circa 2006, I exchanged a series of emails with one of the few places that sells them, inquiring about how to purchase one. It wasn’t until maybe the fifth or sixth e-mail that we actually got to the issue of price. I offered up to $1300 dollars for one of the small, floating “Nessie” models, and my contact balked. Apparently even those cost upward of 6,000 dollars. So unless you’re a children’s museum or something, don’t expect to get one of these any time soon. 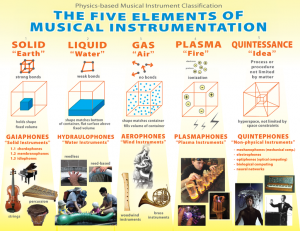 I thought I’d take this opportunity to also mention instruments which produce sound through the vibration of plasma. 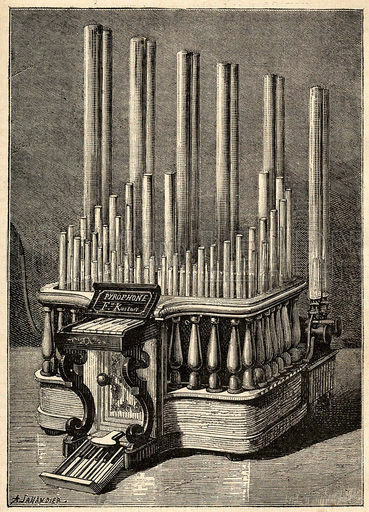 The only instance I know of is the awesomely-named pyrophone, an “organ” powered by jets of flame. Unfortunately, I haven’t been able to find a quality clip (either video or audio) to share. So I guess you’re going to have to just imagine that one for now. Remarkably, the pyrophone has been around roughly as long as its more familiar, gas-based cousin, the calliope. Here’s a sketch of an original model from the 1860s. The glass armonica was tremendously popular in its time, and at least one composer dubbed it the greatest musical innovation of the era (while dismissing another contemporary invention, the “pianoforte”). Mozart even composed music specifically for Franklin’s instrument. But the armonica lived a short life. After a decade or two, armonica-players began to exhibit an unusual propensity for madness and early death. At the time, these ailments were blamed on the instrument’s unearthly, supposedly mind-warping sound. Modern research suggests they were actually due to the high levels of lead in the glass used in the bowls, or, more accurately, in the paint used to coat the rims. Rather than continuing to, you know, die, performers largely abandoned the armonica, moving on to safer but much less cool instruments such as the aforementioned pianoforte (what we call a piano). Williamsburg-area musician Dean Shostak is one of the few modern musicians performing on the armonica. Given my passion for unusual instruments, it seemed only natural that I would collaborate with him on several projects during my time at William & Mary. For my final film project my senior year, I pitched and directed the short documentary “Glass from the Past,” embedded above. Shostak not only keeps alive a colonial-era tradition, but is also at the cutting edge of glass-music innovation. His “Crystal Concert,” performed twice weekly, features an assortment of glass instruments ranging from a full set of glass hand-bells, to one of the world’s only all-glass violins, to an experimental sound-sculpture named the “Crystal Baschet” after its French inventors. This is where it gets intensely cool. The Great Stalacpipe Organ is arguably the world’s largest musical instrument – its various components stretch across 3.5 acres of cavern formations in Luray, Virginia. Contrary to its “organ” name, the instrument is actually a colossal idiophone, similar to a xylophone (incidentally, most of Shostak’s “crystallophones” fall into the same category). Sound is produced by vibrating the caves’ natural stone structures. The “organist” performs on a relatively standard keyboard, but each key activates one of many mallet-tipped servos hung throughout the cave. When a key is pressed, its respective mallet strikes a given stalactite, producing the desired musical tone. The tuneful echoes resound throughout all 64 acres of Luray Caverns. Although “lithophone” (music from stone) performances were incorporated into Luray tours as early as the 1880s, the Stalacpipe Organ didn’t come along until the mid-1950s, when Leland Sprinkle, an organologist with a fantastic name, spent three years searching the cavern for formations which, when struck, would produce the necessary pitches (Sprinkle “tuned” some stalactites via careful sanding). Sprinkle also wired the mallets and designed the keyboard apparatus. I can think of few things more grand than an instrument hewn from the Earth itself. As the video says, the Stalacpipe Organ represents “man’s genius and the hand of God in perfect harmony.” Hearing it play is a near-spiritual experience. And here’s the kicker: You can actually get married in the caverns, and have the Organ played at the wedding. Ever since I first heard the Organ play, it’s been my dream to do just that. So, ladies, if you’re down with getting married in a dank (but very musical) cave, hit me up! Also, nobody steal this idea, please. I intend to have a monopoly on cave-weddings, at least among my friend circle. 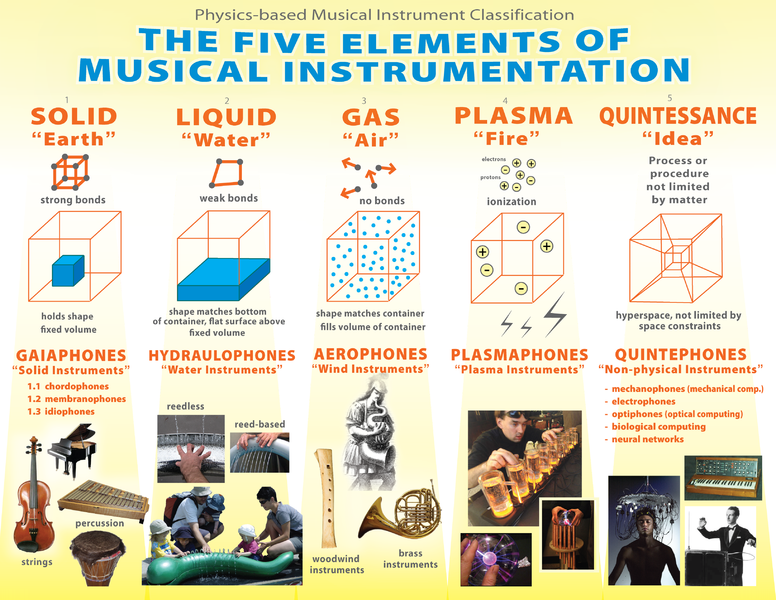 Thus far, we’ve touched on musical instruments which produce sound via the vibration of just about every conceivable form of matter. Gaiaphones, which vibrate solids. Hydraulophones, which vibrate liquids. Aerophones, which vibrate gas. And finally, plasmaphones, which vibrate, um…plasma. That would seem to cover all the bases. But, in the words of Ron Popeil, “Wait! There’s more!” We still haven’t talked about quintephones. Quintephones take their name from quintessence, a theoretical “fifth element” (after fire, water, earth, and air) which ancient thinkers used to explain…basically anything not addressed by the previous four. The soul. Outer space (or “aether”). All of it was attributed to the catch-all “quintessence.” Similarly, “quintephones” encompass instruments which produce sound through unusual media, such as computer algorithms or electrical impulses. This handy chart should help you keep things straight. The earliest such instrument was the theremin, named for its inventor, Soviet scientist Leon Theremin. who developed it in the 1920s. Unique among instruments in that it is played by a performer NOT making physical contact, the theremin works by sensing variations in electrical capacity. The musician holds his or her hands near the device’s two antennae, and each hand and antenna serves as a capacitor plate. The capacity between each pair of “plates” varies as the distance between them changes, and the theremin’s circuitry detects this change and outputs an audio signal which varies accordingly. The vertical antenna influences pitch (player’s hand closer=higher pitch, further away=lower pitch), while the horizontal loop antenna modifies volume (closer=quieter, further away=louder). Though relatively rare as solo or orchestral “instruments,” per se, theremin did achieve mainstream prominence as a source of eerie sound effects (particularly for science-fiction B-Movies of the 1950s and 60s). The Beach Boys also used a variety of theremin to produce the distinctive wavering sounds in “Good Vibrations.” The original Star Trek theme, however, features no theremin, despite often being described as such. Now on to the musical saw. Yeah, this selection is a twofer. But my reasoning is sound: Weirdly, the theremin is comparable to an electric saw, or slide whistle, or really any instrument which allows the player to “slide” between pitches rather than producing only a handful of set notes. Rather than a quintephone, the musical saw is yet another idiophone. The musician sets the saw-blade vibrating with either a mallet or violin bow (I’ve not yet mastered the latter), and adjusts pitch by bending the blade: Bending further out to the side produces a higher pitch; bending back toward vertical lowers it. Both the saw and theremin emit a wailing, ethereal sound unlike just about any other kind of instrument. And I just happen to play both. So, you know, if you’re in the mood for something exotic on the musical front, give me a call. I do weddings. Just not idea-stealing cave weddings. Okay, NOW we’ve covered our bases. We’ve talked about just about every single means through which an instrument can produce a musical tone. But while playing a commonplace instrument is all well and good, and playing an unusual one is even better, there are those intrepid performers who go one step further. They strap all manner of instruments, common or otherwise, to their bodies, and proceed to play them all at once. These polyphonous polyglots deserve a section all their own. There are so many instruments, and so many different possible combinations of instruments, that it would be virtually impossible to present a comprehensive account of the “one-man band” form here. So instead, enjoy two of my favorite examples. First, in the video above, the eccentric “Professor Gizmo” performs the “Tiger Rag” on his rig, which is both remarkably complex and remarkably compact. Seriously, he’s got so many literal bells and whistles on that thing it’s difficult to tell exactly which component is making which sound. If future me is ever half this talented, he’ll make past and present me very proud. Honestly. This guy steals the show. If this was indeed a competition, I can only assume he won. Unfortunately, I’m afraid I can’t follow up with a clip of my own performance…a full set of tuned bicycle horns costs roughly $1600. Horn Guy, you’re my hero. And at least until I can scrounge up a significantly greater amount of expendable income, you shall remain unchallenged. Way back at the beginning of this post, I mentioned that you carry a few instruments around with you. By far the most intricate and complex of these is the one you probably take for granted. The human voice is a powerful, flexible tool, and few other species can match us for sheer range of vocal utterances. We speak, shout, whisper, sing…and some of us perform flawless imitations of harmonicas, guitars, and other instruments. We are musical beasts without a doubt. And musical innovation shows no sign of slowing. Whether we’re plucking strings, striking rocks, blowing air, or wringing metaphysical music from the “aether,” humanity is exceptionally good at eking pleasant noise out of whatever material we happen to have on hand. Even if that material happens to be our hands. Lastly, because I’m an insatiable narcissist, here’s a clip of me singing. I promise it’s not as bad as you might think. You said you saw a woman playing the saw on CBS Sunday Morning and that was your inspiration. Was that what you saw: http://www.cbsnews.com/videos/saw-lady-serenades-new-york-citys-straphangers/ ? I’m not sure if that was the specific clip…it was around 2003 when I saw it on TV, so this one might be a bit newer. Still a great find! Thanks also for the festival info. I’ve heard about it before, but never made it up there. Definitely on the bucket list. Thanks also for reading and commenting!